March (hopefully) means the weather is warming up. If you don’t have a trip planned to an exotic locale, take some time to get ahead on home maintenance projects. 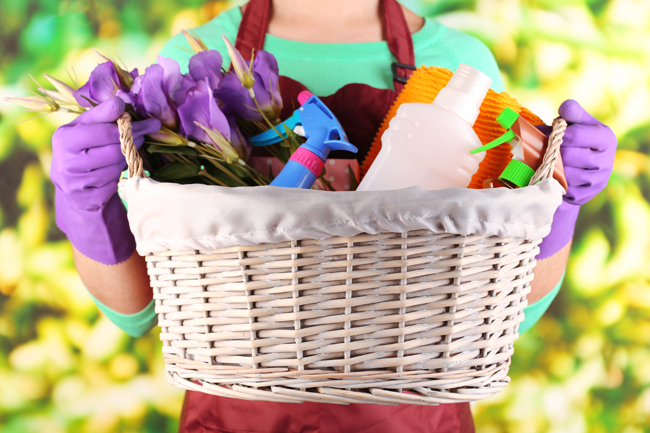 Here are a few projects you can complete during a spring fling of home repair. Power washing your home’s exterior not only adds to its sparkle factor, but also blasts away any potentially damaging mold and mildew. Rent a machine at your local home improvement store and tackle your siding, deck and driveway. Scheduling a tune-up for your cooling system can save you bucks in the long term. Change your AC filter and schedule a pro to come check your system now, before contractors get busy. Pull out a ladder and unclog gutters and check that they’re connected securely. Catch some rays – and brighten your home – by cleaning the interior and exterior of your windows. Try a squeegee and skip the paper towels, to avoid looking out through a filter of lint. Dust and grime on your refrigerator’s coils causes the machine to use more energy to cool. Cleaning coils is easy with your vacuum’s hose attachment. Then, enjoy efficiently-made ice cubes in a cocktail after all your hard work. And add a paper drink umbrella. After all, it is spring break.